The class is part of my Make America Fit Again campaign that was featured in the March/April 2017 issue of Road King magazine. 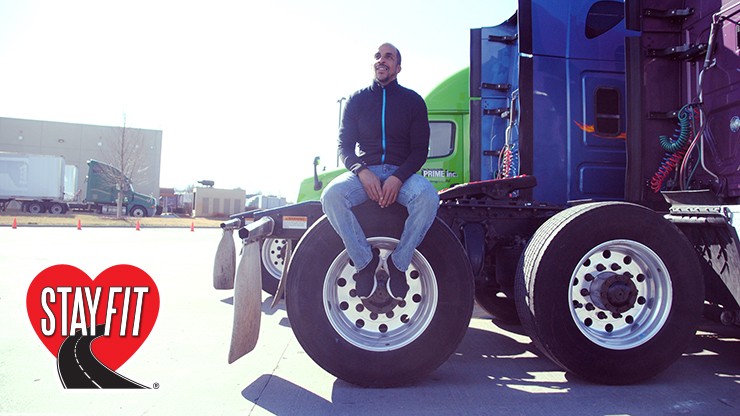 Because this works so well, I have been dubbed “The Fitness Guru to The Trucking Industry.” Following the 4 Minute Fit solution, my clients lose an average of 18 lbs. or 6.4% of their body weight in just thirteen weeks. My program has turned into the #1 weight loss program in the country, featured in Men's Health, Sports Illustrated, Fox Sports, The Atlantic, The Huffington Post, Guideposts, CNN, BBC, NPR, CBS Evening News, Good Morning America and countless other national and international media. You see, I hacked my metabolism, and I figured out how to turn it on to its highest level and keep it on while driving. Understanding what to do and how to do it is easy. What I discovered is that getting drivers to do the 4 Minute Fit solution was the real challenge. When I start the class, I ask everyone to raise their hand if they want to be healthier six months from now. Of course, every hand goes up. When I say, “OK, find some space and do twenty push-ups,” most of the class looks at me as if I was crazy and I hear all kinds of grunts and moans. I tell them I’m just kidding, that the question was a test and that they all failed. Then I ask my next question, “Raise your hand if this is the first time you have ever heard that you need to eat right and exercise.” Of course, not a single hand is raised. “Really?” I ask in mock incredulity. “You mean everyone has heard that you need to eat right and exercise? Ok, then you already know what to do, you have the information and class is over.” The students all look at me confused, wondering if I am being serious. Then I hit them with the critical challenge. “You all say that you know you need to eat right and exercise. Ok, watch this. Raise your hand if you exercised today.” Usually, there are a few hands that go up. Then I increase the challenge. “Raise your hand if you exercised today and yesterday.” A few hands drop. Finally, “raise your hand if you exercised seven out of the last ten days.” I am lucky if there is one hand raised. I then make this point; they just proved that information alone is not sufficient to get people to take action. Even though all the students are grown men and women who know that they must be responsible for their health, know that they need to eat right and exercise, yet they are not doing it. And, this is my point. The problem is not knowing what to do and how to do it, the problem is the massive apathy and denial, particularly within the industry. As a community, we just don’t value health. We say we value health but saying and behaving are two different things. Because I make a living helping people improve their nutrition and fitness, I have had to become an expert on behavior change. I have had to identify and understand the universal laws and principles that govern behavior. One of the most important is this; all human behavior is governed by mental programming. For example, you don’t tie your shoe and then afterward look at your shoe and say, “Oh, my shoelace is untied, I think I need to tie it.” The thought always comes first and then the behavior follows. The thought can be conscious, unconscious or sub-conscious, but the thought always comes first. Therefore, if you want to change behavior, one needs to change the mental programming. But … if all behavior is governed by mental programming, what is it that controls or governs the mental programming? Values. Your values determine what information you allow into your mental programming, give it a high priority and therefore activate it. Your values determine what information you allow into your mental programming but give it a low priority, thus putting it on the shelf and not activating it. Your values determine what information you reject and don’t allow into your mental programming. Thus, if you want to change behavior, you have to change your mental programming but to change the mental programming you need to adjust your values. Understanding this is critical when trying to help an individual, a company and industry or an entire country change their behavior. 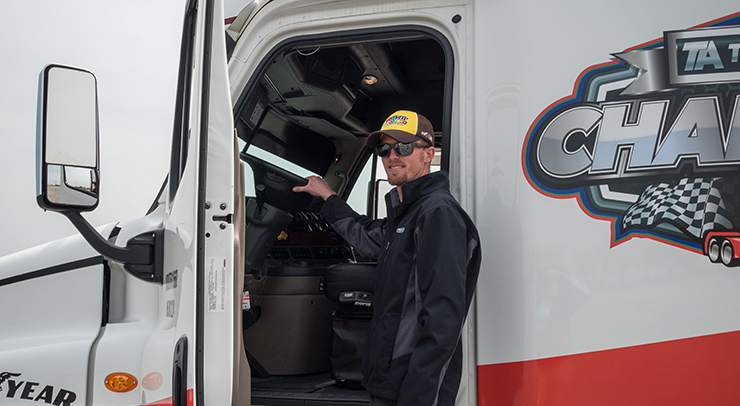 Since my goal is to help YOU make the changes to become a fitness trucker, lose weight, burn fat, reduce your risk for metabolic syndrome and improve your health, first I must help you understand what it is you value and make the connection between health and happiness. Only when you properly value your health will you make doing the 4 Minute Fit solution a daily priority. In the next blog, we will make that connection. Stay tuned.